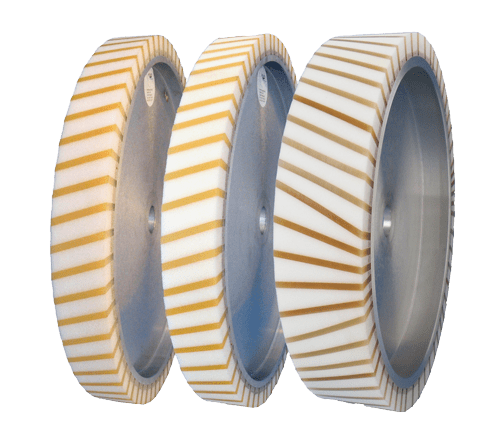 Uniformly wide lamellae of foamed up Vulkollan® are attached at alternating angles with plastic foam lamellae attached in the spaces between them to the aluminium hub of the FAPI-KS/V SPECIAL. 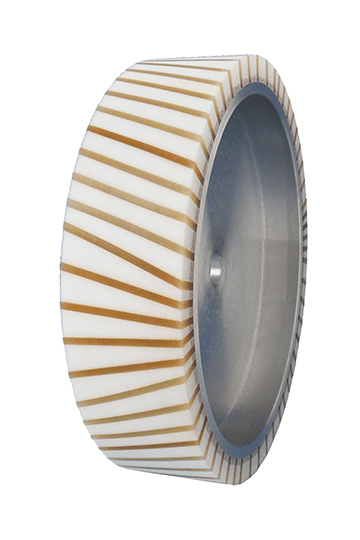 The contact wheel FAPI-KS/V SPECIAL is used in particular when high abrasion is required in a short time (for example for surface grinding). But even lightly rounded workpieces can be ground without difficulty using this contact wheel.